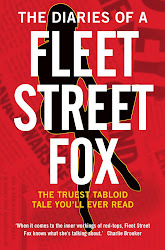 fleet street fox: Cry God for Harry, England and St George! 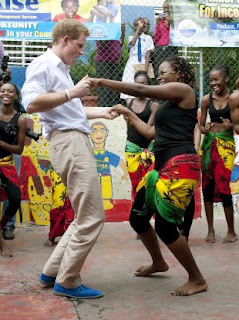 IF I didn't know better I'd swear William Shakespeare was in charge of Prince Harry's PR. Henry Charles Albert David Windsor was not long ago something of a national disgrace. He was caught smoking drugs at 17, repeatedly fell out of nightclubs and got in fights with photographers. The less-reported stories around the same time described a young man going off the rails without a mother, as his single-parent father devoted himself to his long-term mistress and his older brother got all the attention. He was so beyond discipline he set up a private drinking den in the basement of the parental home where his dad had no idea drugs were being used, bought and sold. He didn't do brilliantly at school and had to deny allegations his art teacher had helped him cheat his way to a B grade in an art A-level. He even thought it was funny to dress up as a Nazi. 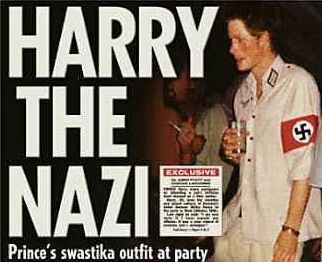 He was drunk more often than he was sober, and he did it all in public while millions of people around the planet read the news, saw the pictures, and shook their heads at the tearaway black sheep of the world's most famous family. 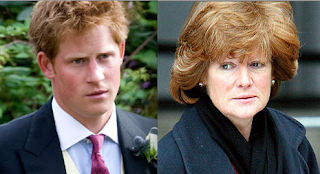 At the same time he had strangers, friends at school, and according to rumour even his own grandfather, questioning his parentage because his mum had a fling with a ginger chap two years after he was born and regardless of the fact his mother's family all look like that. Princess Diana's son, and Princess Diana's sister. He had money and privilege and girls throwing themselves at him, and he didn't say no. What a waste, what a toff, what a good excuse for euthanizing the upper classes. Today that same lad is patron of several charities and even runs one of his own. He's better at holding his drink, picking his girlfriends and at dealing with the attention he gets. The academically-challenged troublemaker is a particularly brilliant helicopter pilot capable of flying one of the most complicated and fearsome gunships ever made. He can go on a foreign tour representing his grandma and not make a single embarrassing slip, apart from the shoes. 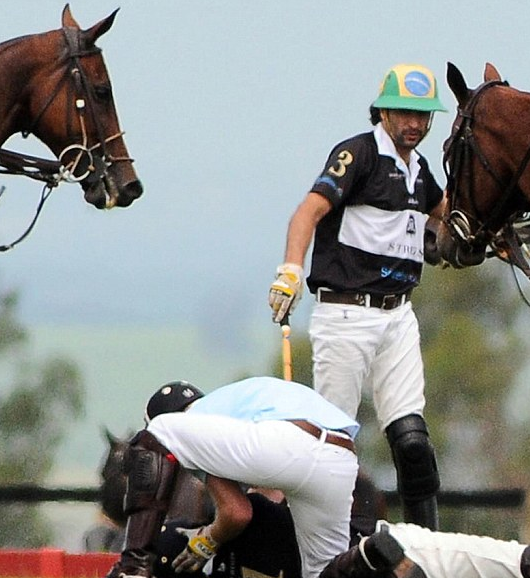 Recently when his opponent in a polo match fell off his horse the prince leapt into action to help the unconscious man, keeping his airway clear using the basic first aid he was taught as a soldier. Cue pictures of a handsome man in tight britches tenderly cradling a man's head in his brawny arms. And how did all this happen? Well on the one hand, he grew up. He found a discipline in the Army he didn't get at home, and he's managed that amazing feat so many of us fail to do which is to find a job he loves and is really good at. But to return to my first point - this has been written before. In the plays Henry IV and Henry V a young Prince Hal is seduced from boring court life by the fleshpots of Southwark and the fun to be had with his fat friend Sir John Falstaff, and is written off by everyone before destiny claims him and he becomes our most successful - and likeable - warrior king. Prince Harry's not one for reading Shakespeare but, not for the first time, I am caught wondering whether the press officers at Buckingham Palace don't occasionally use it for inspiration. 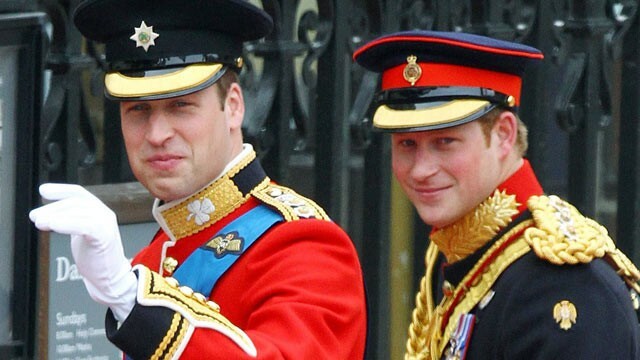 And whether the boring and balding Prince William might not be the wrong brother for the job. I know which one I'd rather go to the pub with.